Technologists and business leaders have recognized the tremendous disruptive potential in blockchain technology, which can be used in a myriad of areas. Public and private sector organizations, for instance, might use it to share information selectively and securely with others, exchange assets, and proffer digital contracts. Individuals can use blockchain to manage their financial, medical, and legal records, a scheme in which blockchain would replace banks, credit agencies, and other traditional intermediaries as the gatekeeper of trust and reputation. As an increasing number of firms and governments are looking to tap into the blockchain opportunity, a multitude of dedicated events and conferences are being held around the world to keep professionals updated on the evolving space. The 3rd Annual Blockchain Conference Washington DC is taking place from July 26 to 28 in the nation’s capital to explore blockchain and DLT. 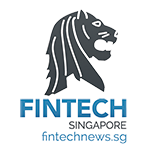 The event’s aim is to bring senior figures in finance, tech, government, venture capital and start-ups into a room and discuss blockchain beyond bitcoin. Last July, in Washington DC, the event had an amazing line-up of speakers and a diverse audience. This year’s event promises to be more dynamic, with new tokens and regulation. As always the format will be fast-paced with plenty of networking time built in. A Seattle edition of Blockchain Conference will take place on August 21, 2018. Blockshow Americas 2018 will be held between August 20-21 in The Venetian, Las Vegas. Along with new releases from the up-and-coming blockchain companies, the conference will also present insights from the global trending sectors of voting & elections, e-commerce, and supply chains. Attendees can get a chance to participate in the traditional Startup Competition aimed at discovering and rewarding rewarding the most promising Blockchain-powered companies. They will also have the opportunity to hear from the likes of 100 internationally-known speakers in a series of talks, panel sessions and discussions. 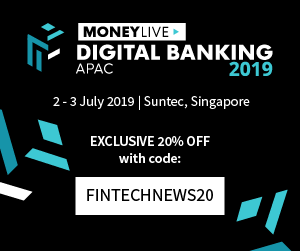 Register now to get 30% off tickets with the code: 30FINTECHNEWS. 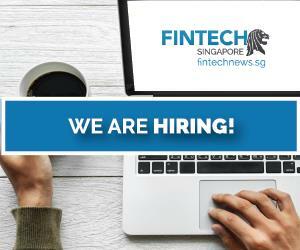 Blockchain Summit Singapore is a one-day conference and exhibition that promises to connect over 700 industry leaders, business decision makers, tech innovators and investors. 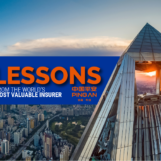 It will feature cutting-edge case studies which will offer a “how-to” approach to deploying blockchain technologies across industries like finance, insurance, logistics, utilities, media and entertainment, and more. Roundtable discussions and hosted networking sessions will provide exceptional opportunities for attendees to connect with peers and deep-dive into topics. The Crypto Finance Conference USA 2018 is a three-day conference which provides exclusive opportunities for private investors, institutional investors and family offices to connect with leading players in the blockchain landscape. All participants are curated by the board to ensure the opportunity of forming unique networks. The conference agenda also aims to provide optimum education, networking and investment opportunities to its participants. 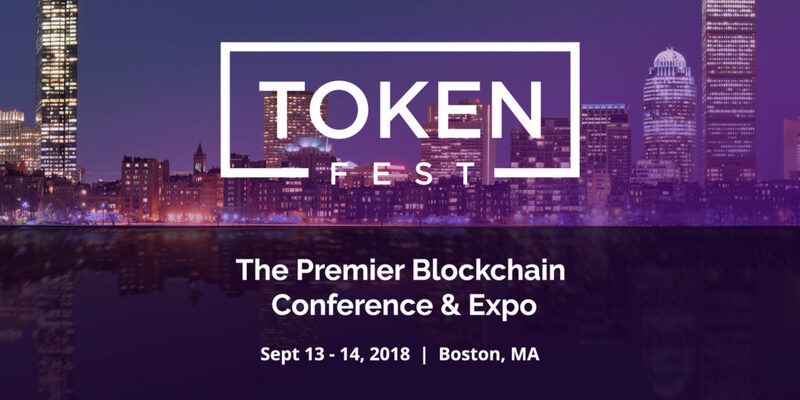 Speakers will include Bobby Lee, (co-founder of BTCC), Meltem Demirors, (CSO of CoinShares), Wences Casares, (Founder and CEO of Xapo), Dan Morehead, (CEO of Pantera Capital), Jennifer Zhu Scott (Co-founder and Principal of Radian Partners), and Brian Kelly (author and financial markets expert). Token Fest is set to be an exclusive, two-day networking event focused on the business and technology of tokenization. The event will bring together industry thought leaders who are pioneering innovative solutions for the token economy. The Boston event is expected to attract 4,000+ attendees, 200+ speakers and 200+ exhibitors. Some of the topics that will be covered include cryptoeconomic strategies, peer-to-peer ecosystem architecture, cybersecurity and hardware, tokenized revenue models, smarts contracts and Internet-of-Things (IoT), token analysis and governance, and more. The organizers claim the event strives to provide unique networking environments where true relationships can be formed. The Blockchain Live event, on September 26, in the Great Hall in Olympia, London, will be a one-day exhibition that is set to bring together the biggest innovators, influencers and investors in blockchain and DLT. It is expected to bring together more than 3,000 delegates to drive forward the adoption of blockchain technology. Blockchain Live will showcase the biggest platforms as well as those pushing the boundaries of the technology, whether they be the rising stars of the startup and investment community or leading industry figures who see the potential for blockchain in their respective sectors. Speakers will include government officials, regulators and policy makers, and end-users, among others. The 2nd Blockchain for Finance Conference will take place on October 3 and 4 at the Aviva Stadium in Dublin. This year, the program will focus on real-world case studies and details on how this technology could improve banking as a whole. 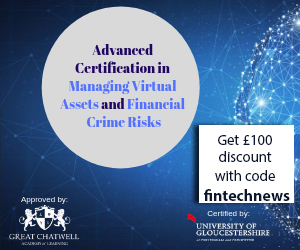 The conference will financial institutions move their blockchain/DLT projects from proof of concept to deployment by discussing DLT and the wider digital business, financial use cases, blockchain and ledger technology, regulation and compliance, and more. The inaugural World Crypto Con will take place from October 31st to November 2nd at the Aria Hotel and Casino in Las Vegas. The theme and focus of the event is to bring mass adoption of cryptocurrencies and blockchain technology through small, medium and enterprise business innovation. For three days, World Crypto Con will transform the Vegas strip into a global stage for industry leaders to share their breaking news and technologies with thousands of investors, experts, developers, businesses and attendees. Attendees will hear from thought-leaders, including Vinny Lingham, co-founder and CEO of Civic.com; Ronnie Moas, founder and director of Standpoint Research; Arianna Simpson, managing director at Autonomous Partners; Brock Pierce; Maxine Ryan, co-founder and COO of Bitspark Limited; and more. The Malta Blockchain Summit is set to be a melting pot for global influencers in technology, civil society, democracy promotion and innovation, expected to attract over 4,000 delegates, 100 speakers and 150 sponsors and exhibitors. The summit will comprise of four conferences covering the fields of government and regulation, marketing and affiliation, fintech, tokenomics and cryptocurrencies, and blockchain for developers. Confirmed speakers include prominent entrepreneurs and individuals such as the co-inventor of Blockchain, W. Scott Stornetta; Evercoin founder Miko Matsumura; Forbes 30 under 30 entrepreneur Christopher Obereder; former managing director of the World Economic Forum and angel investor Donna Redel. The Prime Minister of Malta, Joseph Muscat, will inaugurate the regulatory conference. Blockchain2Energy specifically focuses on how blockchain can accelerate Asia’s energy transition towards cleaner and more sustainable energy systems. Following the liberalization of many energy markets in Asia, blockchain-energy projects have started to proliferate, with major players in the energy field utilizing blockchain. BlockShow Asia is back in 2018 to make a step to the blockchain maturity. Experienced entrepreneurs with real track record, investors, talents, traders, developers, startups – all on one place for 5 days: VIP pre-party Asia Blockchain Week & BlockShow Asia 2018, 2-days BlockShow Asia 2018, The Future of Token Economy Conference, and an Open Day for All blockchain hubs, accelerators and companies. The MJAC & CryptoCompare London Blockchain Summit is taking place on November 30th and will see a host of key industry players discussing and debating the hot topics from within the blockchain and cryptocurrency spheres. In addition to keynote speeches, fireside chats and panel discussions, delegates will have access to exhibition with more than 50 companies that are making waves in the blockchain industry. Speakers will include Claire Wells (Legal & Business Affairs Director – Europe, for Circle), Saar Levi (CEDEX CEO and co-founder), Amir Ness (Founder of Elevate Group), Teana Baker-Taylor (Advisory Council at Global Digital Finance), and Obi Nwosu (CEO and co-founder of Coinfloor Ltd) among others.